The National Trial Lawyers organization is pleased to announce that Alexandra González-Waddington has been selected for inclusion into its Top 40 Under 40, a honor given to only a select group of lawyers for their superior skills and qualifications in the field. 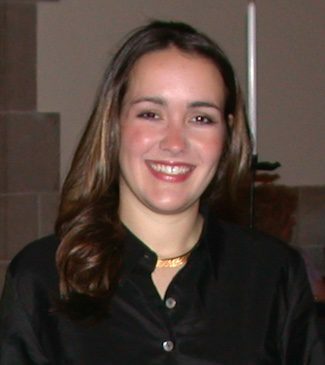 The National Trial Lawyers organization is pleased to announce that Alexandra González-Waddington has been selected for inclusion into its Top 40 Under 40, a honor given to only a select group of lawyers for their superior skills and qualifications in the field. The selection for this exclusive list is limited to only 40 attorneys per state who have extensive experience in either civil plaintiff or criminal defense law. The National Trial Lawyers is a professional organization comprised of the premier trial lawyers from across the country who have demonstrated exceptional qualifications in their area of the law, specifically criminal defense or civil plaintiff law. The National Trial Lawyers provides accreditation to these distinguished attorneys, and also aims to provide essential legal news, information, and education to trial lawyers across the United States. With the selection of Alexandra by The National Trial Lawyers: Top 40 Under 40, she has shown that she exemplifies superior qualifications, leadership skills, and trial results as a legal professional. The selection process for this elite honor is based on a multi-phase process which includes peer nominations combined with third party research. 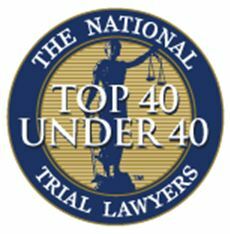 As The National Trial Lawyers: Top 40 Under 40 is an essential source of networking and information for trial attorneys throughout the nation, the final result of the selection process is a credible and comprehensive list of the young lawyers chosen to represent their state. Alexandra is a founding partner of González & Waddington, one of the most recognized military criminal law firms in the world. She has defended some of the most high profile war crime cases of the Iraq and Afghanistan wars. Some of her cases have been reported on by major media outlets including CNN, The Rolling Stone, The New York Times, NPR, The New Yorker, Time, ABC Nightline, Good Morning America, the BBC and have been the subject of books and movies. A best-selling author and contributor to the 2015 American Bar Association’s book, “The State of Criminal Justice”, she is also a founding member of the National Association of Military Defense Lawyers.